We were thrilled to work with author Dhonielle Clayton to plan a gorgeous and successful book launch party for her book, The Belles. Our party theme revolved around the setting of the book, New Orléans, and included aspects of the Marie Antoinette era. 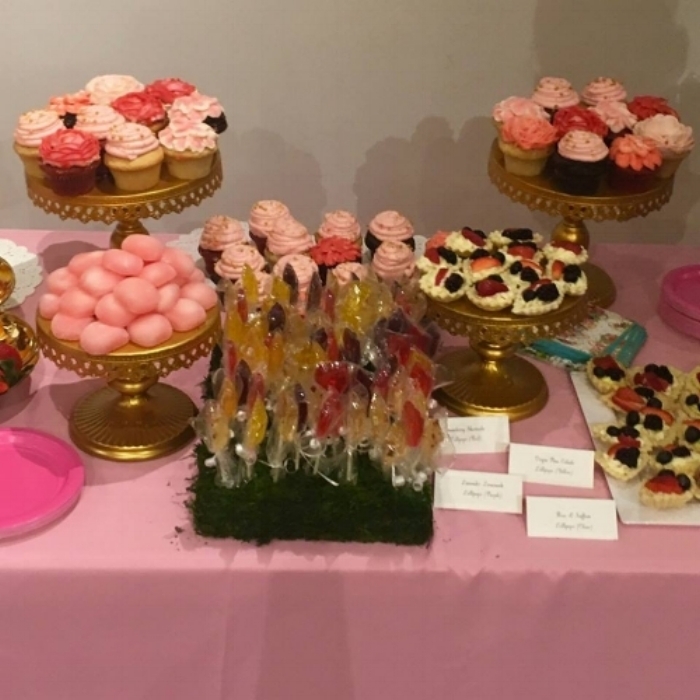 We worked with vendors to create a table full of elegant tea party desserts and went with a feminine color pallet of pinks. We also include various elements of flowers; paper flowers for the wall, fresh flowers in an elevated vase and flower designs on the desserts.